What can a tree do to stand firm as the soil beneath it slowly and inevitably washes away? This one has sent out more and more roots, revealing its determination to survive. I found this tree in Silver Falls State Park, near Salem, OR. 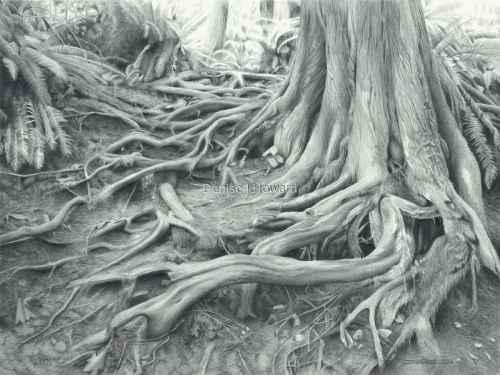 Graphite on Arches 88 paper.